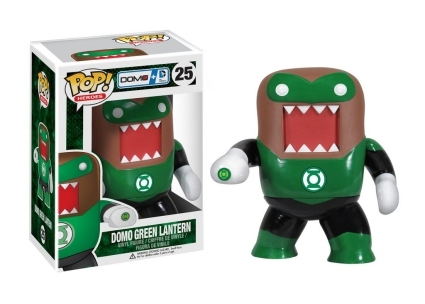 In brightest day, in blackest night, no evil shall escape his sight! 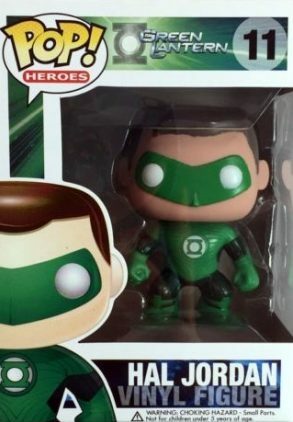 Beware, because you won't be able to escape the power of the delightful Funko Pop Green Lantern figures! 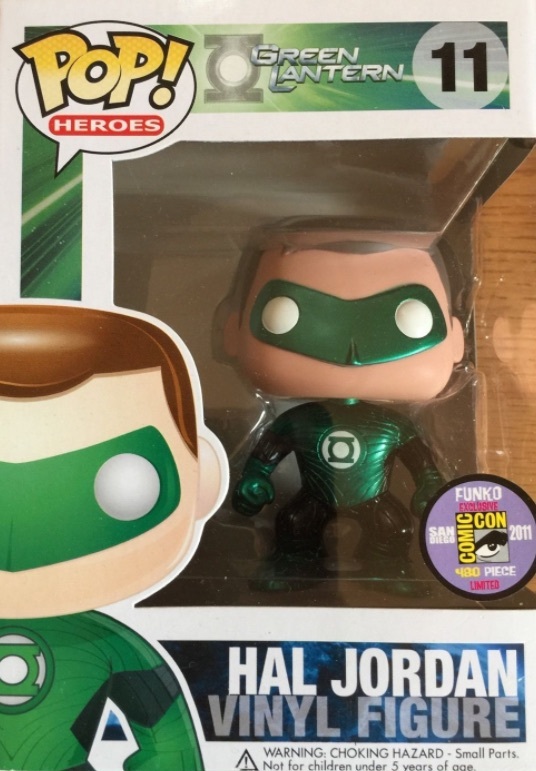 Despite Alan Scott first appearing as the Green Lantern in DC's All-American Comics #16 in 1940, most fans acknowledge Hal Jordan paved the way for the Lanterns. 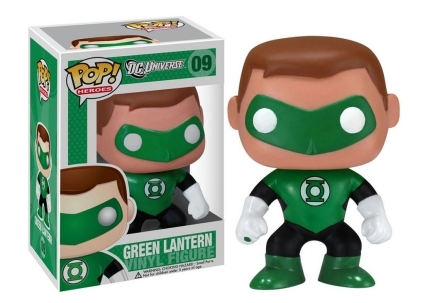 Green Lantern, a founding member of the Justice League of America, comes in at #09 in the Pop! DC Universe lineup. 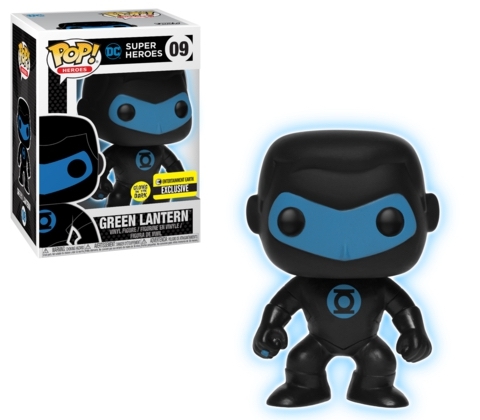 There are several variants of the main Funko Pop Green Lantern vinyl, which features the masked hero in the traditional green and black spandex with the Lantern Power Ring insignia. 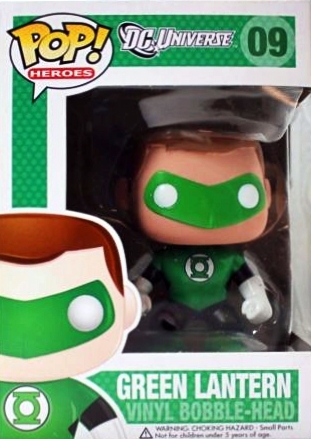 Shop for Green Lantern Pop Figures on Amazon. 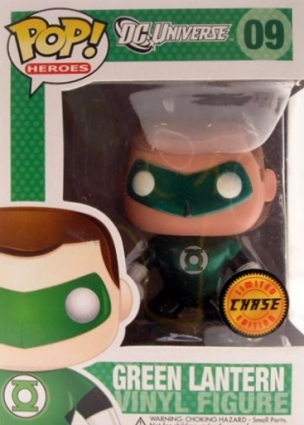 Issued through Target, collectors can also find the same main base and chase metallic figure, and the exact box numbering (#09), with one exception: these rare figures are listed as "Vinyl Bobble-Head" instead of "Vinyl Figure." Another extremely hard to find (should be read as expensive!) 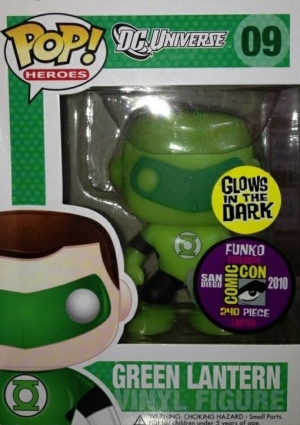 option is the 2010 San Diego Comic-Con glow-in-the-dark exclusive. This release includes two different packaging styles—one is encased in a plastic clamshell while the other is in the classic Pop! box—and each has the official SDCC sticker stating only 240 pieces were made. 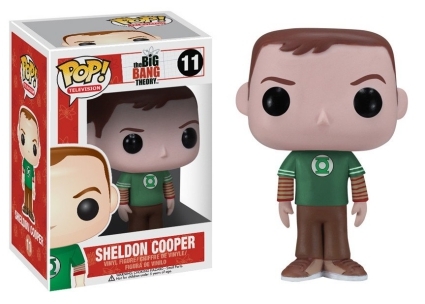 Given that everyone loves the power of the Green Lantern, it's no surprise that a The Big Bang Theory Sheldon Cooper figure sports a t-shirt with the Lantern's symbol. 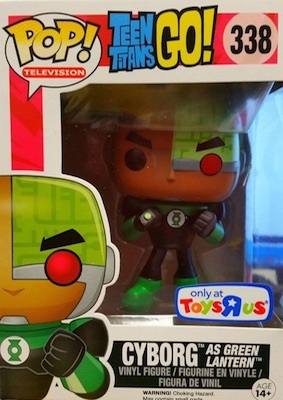 Adding another offbeat choice, even Cyborg from Teen Titans Go! is dressed as the Green Lantern. 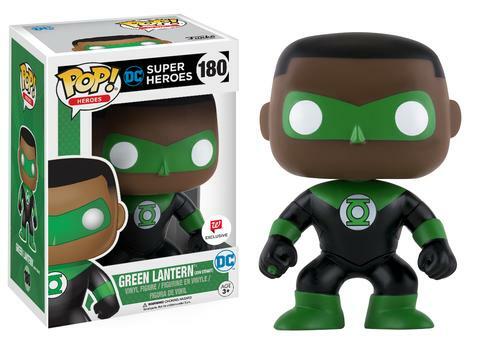 The full Funko Pop Green Lantern checklist below is organized by line series while the visual guide tab includes images for each figure in numerical order. 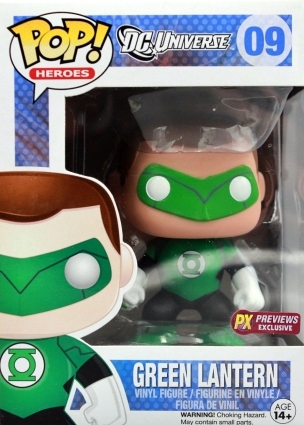 However, if you want more Green Lantern options, we’ve got you covered with our comprehensive Green Lantern Collectibles Guide! 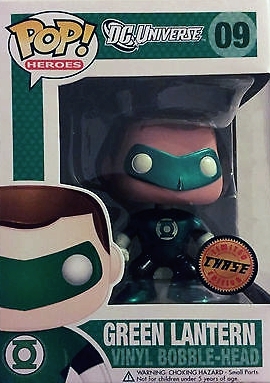 Justice League - Green Lantern Silhouette Glow Pop! Vinyl - FunKo Free Shipping!